Smog; dense, heavy and sepia-tinted; it veiled my eyes with its dusty haze. Was I still in foggy London? The lightly suffocating humidity, the foreign exchanges in the background and the landing card in my hand all told me otherwise. 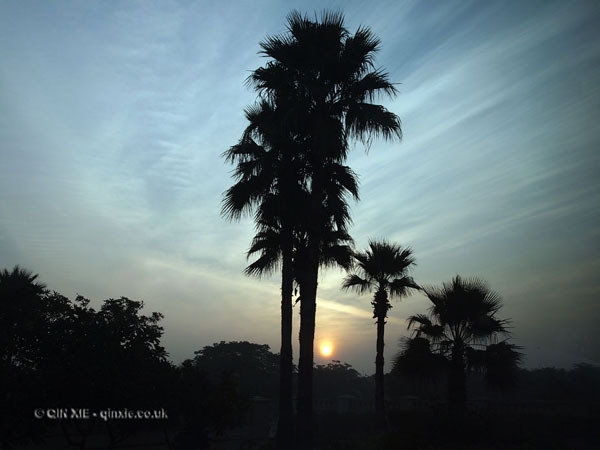 This was New Delhi, a capital built on seven ancient cities and some 5,000 years of history. The eight-hour flight from Heathrow and 5am arrival to this exotic land had rendered me somewhat unreceptive to my new surroundings. Still, I was awed by the grandeur of my hotel as I was driven up its winding path. The Grand, recently renovated but still somewhat a work in progress, had all the classic indicators of five-star luxury. A mandatory airport-style security check greeted me before I was permitted the experience. The entrance extended to a decadent bar and the Crystal Lounge, where a grand piano resided. The floor-to-ceiling window showcased the water feature outside, nestled within the well manicured garden, now faintly illuminated by the breaking dawn. The bright lights in the reception proved to be too much and I escaped to my luxurious room for a heavy slumber. A short few hours later, after much needed rest, I ventured out of my palatial surroundings to find a slice of New Delhi. Right across the road from the hotel was a mall supplying all the Louis Vuitton, Dior and Harry Winston that one might need. Yet just a short drive later, a shanty town, painted vibrant blue and orange, had sprung out of the soil at a junction in the road; its residents completely oblivious to the passing traffic on either side. The embassy district was the postcard for orderly calm. Trees and green lined either side of the road, politely sign posted to different countries. 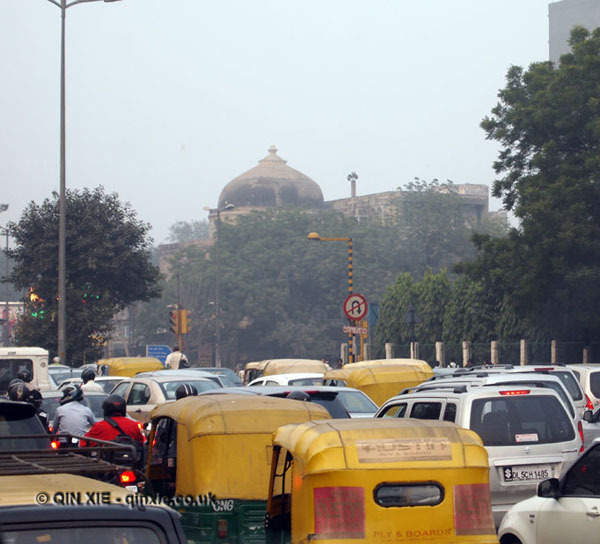 As I ventured closer to India Gate, the national monument of India, traffic seemed to increase seven fold and constant beeps from the horns created a growing din. An endless queue of cars crawled along while motorised rickshaws darted into the spaces in between and pedestrians weaved dangerously. 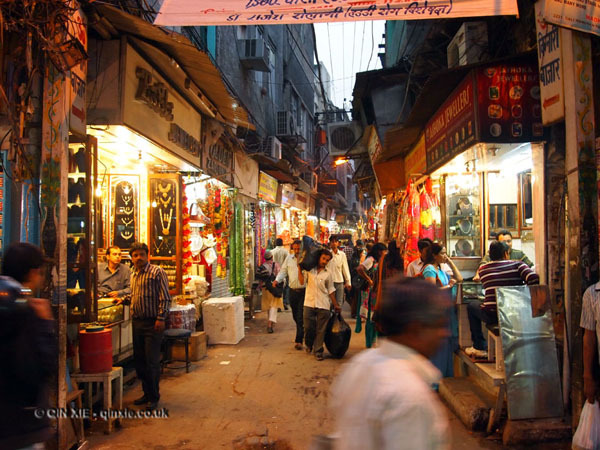 A short ride on one of the basic rickshaws, through the bustling market district of New Delhi, delivered a potent shot of the city as it was for the average man. Heavy glare from shop lights came from the tiny establishments that paved either side of the busy road, selling everything from jewellery and watches to car parts and dental care. Dogs, goats, cows and even monkeys in the streets seemed the norm. Intriguing aromas from the mobile food stalls blended with the less savoury smells of congested city living. This was a city that yielded everything and hid nothing. The jostle was a sharp contrast to dinner at Park Balluchi, a fine dining restaurant housed in the luscious green of a deer park, where good food was served to the tune of live ethnic music. This wasn’t the real New Delhi but it felt a whole lot more comfortable. 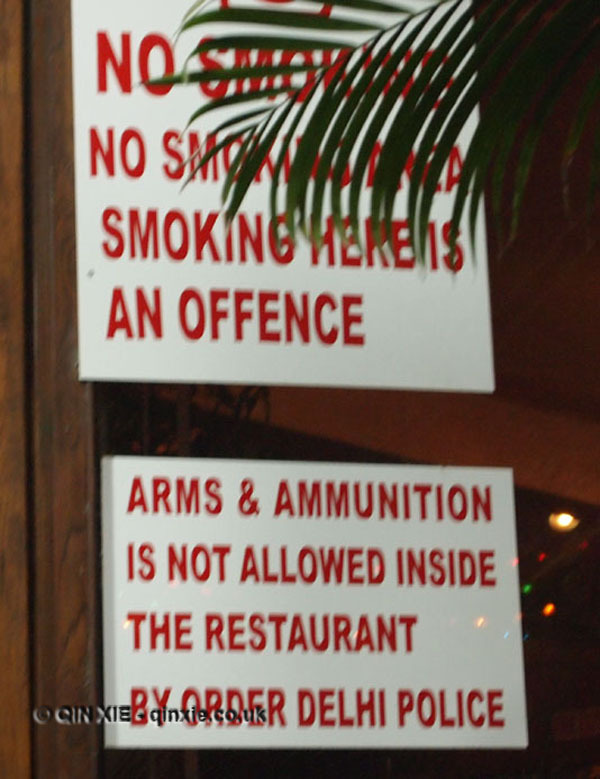 Well, that is, until I’m pushed into a whole different kind of unease by the sign which read “arms and ammunition is not allowed inside the restaurant”. Back at the hotel my jetlag allowed me time to reflect. 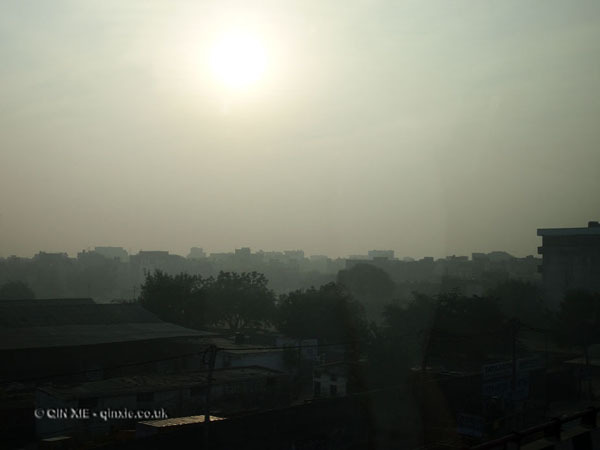 I had seen a city so at odds with itself despite being asleep for over half of the 24 hours I had been in New Delhi. Here was a developing country with an abyss between its rich and poor – that part was nothing profound and nothing new. Yet some how, seeing it myself, I felt distinctively uncomfortable. Still, as I laid back into the pile of pillows on my bed and allowed the luxury mattress to swallow me up, sleep came quickly.